As I drive along with the radio on an all Christmas station, the singer lists out the things that he credits as defining the meaning of Christmas – snow, candles, mistletoe – as he belts out “all these things and more” with a choir singing along in the background. The catchy little Christmas song is one of many ringing out in cars, malls, and grocery stores during this time of year. It brings energy, spreads excitement, and is easy to dance to. But when you actually tune into the lyrics it seems to only hit the surface. This is what Christmas means. This is what the holidays have in store. This is what it is all about. And as I find myself less than a week away from Christmas, the things that I have been thinking about, talking about, and obsessing over seem to point to me agreeing with the singer. Although I might find myself pointing towards the ‘true meaning of Christmas’ in some conversations I have, my biggest concern seems to be what I am going to put under the tree. I actually am feeling stressed out about buying things for people! Will this fit? Will he like it? How much does it cost? If I order today, will it be here by Christmas? Did I get this for him last year? Wait, how much does it cost? Does it come in medium? No, of course not! I know this will be 50% off on boxing day. Will this fit in the stocking? Should I just get a bigger stocking? Running around, countless trips to the mall, trying to stay on budget – and I don’t even have kids! Somewhere along the lines this season, it seems that I have bought in (literally!) to the commercialized, consumerist, media-driven view of Christmas. A Christmas that induces stress, over-spending, and time moving too quickly. A Christmas that undervalues the people I am with while overvaluing the stuff that I get for them. Christmas is becoming so much about squeezing every Christmas movie, party, and gingerbread house in before the clock strikes twelve on Christmas Eve. Now don’t get me wrong, I love the traditions... the tree decorating, movie watching, gift exchanging traditions. They help to make the season festive, memorable, and family-focused. These things are not bad in and of themselves. They are fun! But, what is challenging this year is the excess. I love to think that I am all about the right things in Christmas. But my actions, beliefs, and words are just not adding up. In fact, the only time I have even talked about Christ in Christmas this year has been in church. Not one conversation otherwise has revolved around the incredible, miraculous, and life-giving celebration of Jesus coming to this earth. And yet, that’s what Christmas means to me. Amongst all of the packages, boxes, and bags, I seem to have lost the truth. The awe. The gift. I have given in so completely to a version of Christmas that looks very different from the lowly stable in Bethlehem. I am so thankful for the true Christmas story, and yet this seems to be the smallest element to celebrating Christmas. Christmas eve service and reading the Christmas story gets mixed in with presents, food, and stockings. Everything else overwhelms while Jesus seems to underwhelm. It’s been heard, it’s been appreciated, it’s been taught. 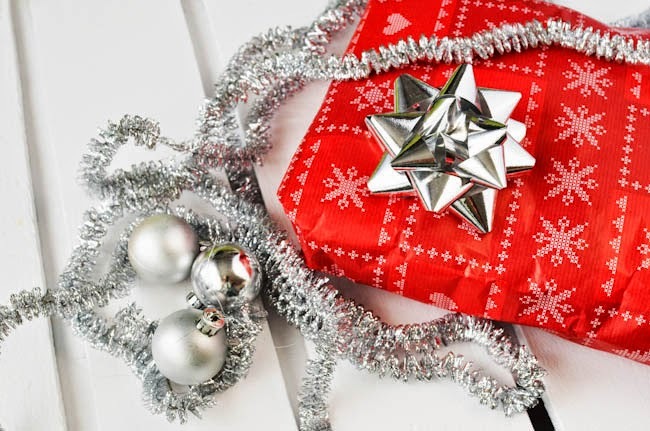 But what might happen if I moved away from focusing on all of the lists, stores, and gifts, and moved towards a focus on what Christmas really means to me. I am not trying to condemn but rather to look at things a little bit differently. I am simply trying to work out how to refocus my perspective on Christmas before I am ringing in the New Year. The days move quickly, the moments are brief. And maybe this is you too. You still have time, you still have room to stop and breathe. To really show what Christmas means to you.